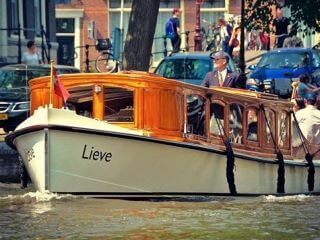 A luxury private boat tour in amsterdam; how does it work? A luxury private canal tour is the equivalent of a five star hotel. It takes place in a stylish private boat, in a refined atmosphere, with personal attention from the captain and the staff. Every tour is customised to your specific wishes and needs: from starting point, duration and route, to gourmet catering and drop off location. 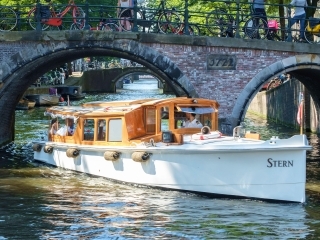 The ‘Stern’ is a century old classical beauty that was built as a boat for the board of directors of the Royal Dutch Steamboat Company and their guests. It has a nice outdoor deck and a retractable roof. Up to 12 people can cruise in style and even enjoy high-end dinners on board of this saloon boat. The ‘Dyos’ by Friendship Amsterdam is a former tugboat (built in 1928) recently turned into a modern luxury saloon boat. On this boat you can take up to 45 people. On board it has all facilities you can think of, including a smart AV-system, a real kitchen for live cooking and even a small fire place. The windows and part of the roof can open in case of nice weather. This private tour boat is one of a kind: an electric speedboat with a cool captain and a small but well-stocked refrigerator on board. Don’t expect a lot of space and high speeds. All canals have strict (and low) speed limits. 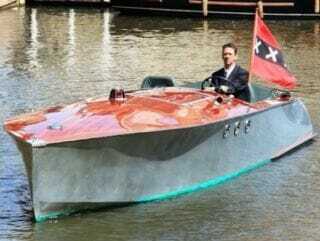 This boat is about ‘the look of speed’ and about James Bond style class. The open cabin fits a maximum of 3 guests. 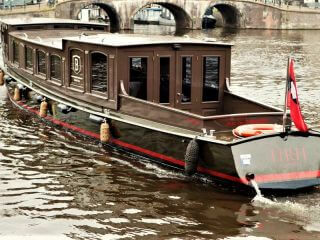 The HRH is a class of its own: a classic (1913) royal ship that is completely refurbished into a modern lounge boat. 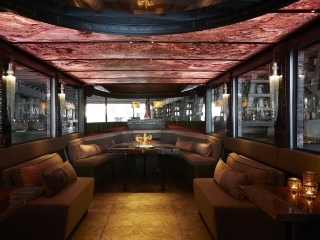 An ingenious lighting system and a real bar on board guarantee good vibes that can be enjoyed by a maximum of 36 people. Needless to say, this private cruise also caters delicious food. 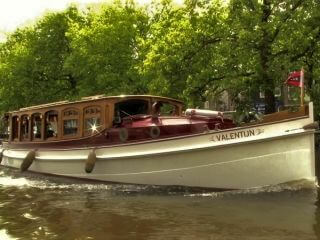 The saloon boat ‘Valentijn’ offers lush classic luxury for a maximum of 18 people. It is more than a century old, but still in splendid condition. The owners have a keen eye for service and detail, and make sure there guests are fully provided for. Of course this includes a wide range of luxury catering options.